Dominicans will extend a gracious welcome and indeed are happy to share their beautiful Caribbean island to those visiting for a Dominican Republican vacation. 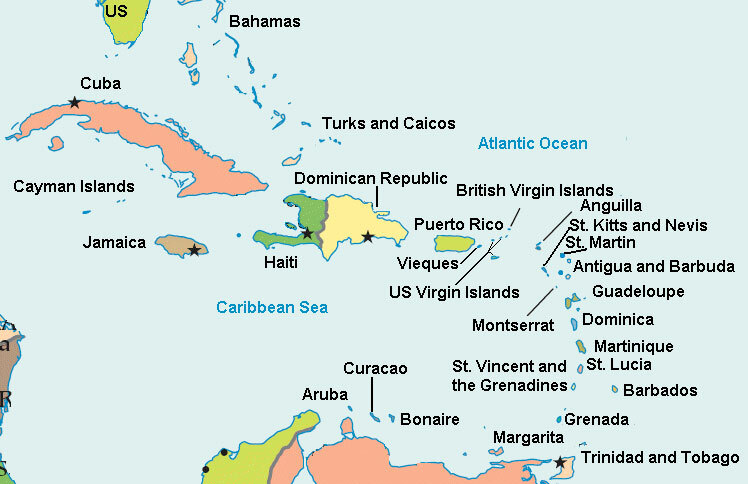 Bathed by the Atlantic Ocean to the north and the Caribbean Sea to the south. Among the Dominican Republic’s most precious assets are 1,000 miles of gorgeous beaches studded with coconut palms and sands ranging from pearl white to golden brown to volcanic black. It’s a fertile country blessed with resources, particularly cocoa, coffee, rum, tobacco, sugarcane. This beautiful Caribbean island is steeped in history and culture worthwhile of exploring from the Dominican Republic rental villas: abundant historical sites, museums, colonial architecture, the first hospital, first sugar mill, first Catholic church this side of the world. Guests of Dominican Republic villa rentals will soon discover that this island offers much more than the typical Caribbean attractions of sun, sand and sea plus the Dominican Republic’s rich culture. During your stay at one of the many private Dominican Republic villa rentals, you will have access to a diverse countryside comprising tropical rainforests, arid desert expanses, alpine ranges and steamy mangrove swamps. It is a playground for trekkers, mountain bike enthusiasts and water sport junkies. The northern and eastern coasts are dotted with many luxurious and elegant Dominican Republic villas. There is the wonderful Caribbean music and dance, exotic foods and drink, and the remarkable colonial architecture found in the capital Santo Domingo’s Zona Colonial. Most villas in the Dominican Republic come with a full staff to meet your every need. The Dominican Republic is known for many things: Christopher Columbus’ entrance to the Americas, baseball superstars, sugarcane and cigars. It is known as one of the premier golf destinations in the Caribbean as well. The designer-holes-per-capita count here makes this Caribbean island a veritable golf powerhouse. One of the famous Dominican Republic villa resorts is Casa de Campo that has three distinctly different golf courses. From one of the Casa de Campo villas, you can play each of the courses, the Teeth of the Dog with seven seaside holes, the inland Links, and the new Dye Fore with seven Cliffside holes are all entirely different. The Dominican Republic is an amazing Caribbean destination with magnificent beaches and luxury villas, vast extensions of white sand and clear, sparkling waters. It also has the claim as the oldest city in the New World with its quaint cobblestone streets and stonework villas. If you are looking for a hassle free Dominican Republic villa vacation that is big on relaxation, then this is the place to be!